Actually, this post is 2 years old and was getting older in my gmail draft folder. Accidentally, i found it and decided to give a life to it. Few days back, I was travelling from Greenpark to Anand Vihar with my relatives in their car in Delhi. We were waiting at one of the Red light when a beggar of age7,8 came near to us and my relatives started closing the windows of the car. I asked them what happened. They started lecturing me about these beggars for next to 5, 10 minutes. I was feeling very angry about the perception of the beggar by these people but I didn’t said anything. 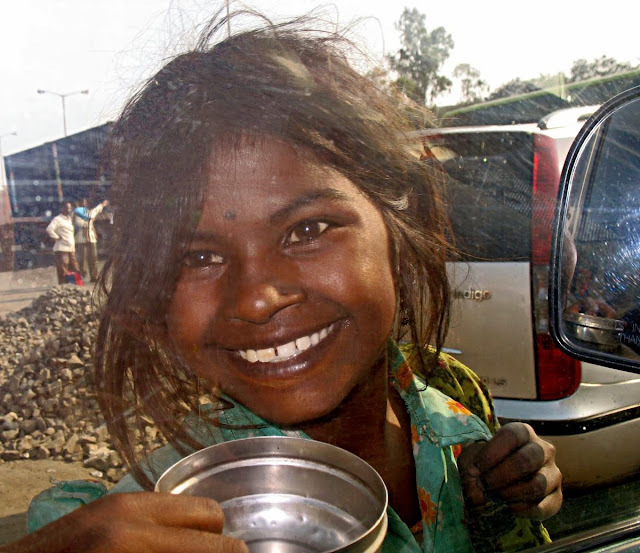 They told me that once the beggar tried to stole the mobile car from their car. “Had he stole something from your car?” I enquired. “Was he successful?” I asked curiously. “No, actually, this incidence happened with one of my friend”. My relative replied looking towards his wife for approval. “Yes, Yes. Beggar stole the mobile phone and vanished”. His wife said excitedly. I­­­­­ thought, we Indians have habit of telling everything with more spice and imaginary things added to it. I want to add something but was taken aback by their perception about the beggars. They were reputed doctors. I thought we cannot generalize just because of one or two incidents. Even, I have read about many doctors in the newspaper who were involved in blood bank scandals and many other scandals. Some doctors were known to extend the stay of their patient in the hospital just to make the money, some just delay the treatment in order to make the money. But still, these all incidences does not shake my confidence on the doctors, a bit. It is not about doctors or beggars or profession, it is something related to the ethics of the person. There are cheaters, unethical and corrupt people everywhere but we cannot generalize all based on a few. Just like, we cannot blame the entire Muslim community just because some of the terrorists belong to this community. I preferred the rest of journey in silence contemplating about the life of these beggars.